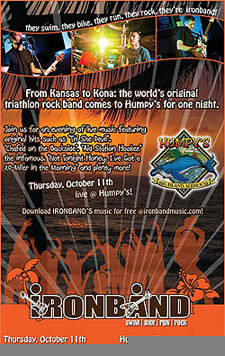 Ironband | We’re Outta Here – See You in Kona! The guitars, bass, and drums are packed, and ready to confuse the heck out of TSA later today. Of course, a couple thousand triathletes descending on Kona wearing all sorts of crazy triathlon gear, compression socks, and the like aren’t exactly normal at airport security either so we shouldn’t have any problems. We kick things off tomorrow evening where we’ll be playing an acoustic set for opening night in the Ironman Village immediately following the Parade of Nations. If you’re in Kona be sure to stop by our tent to say hi and take a picture with our guitar player’s new toy (see below). We’ll also be turning up the distortion and playing Thursday evening at Humpy’s Big Island Alehouse after the Welcome Dinner from 9p to 12am. A rumor is also circling that our long lost guitar player, Mike Roberts, fresh off an almost-sold-out solo acoustic tour of eastern Floridian Waffle Houses, will be in the house at Humpy’s and joining the band on stage for a few songs. 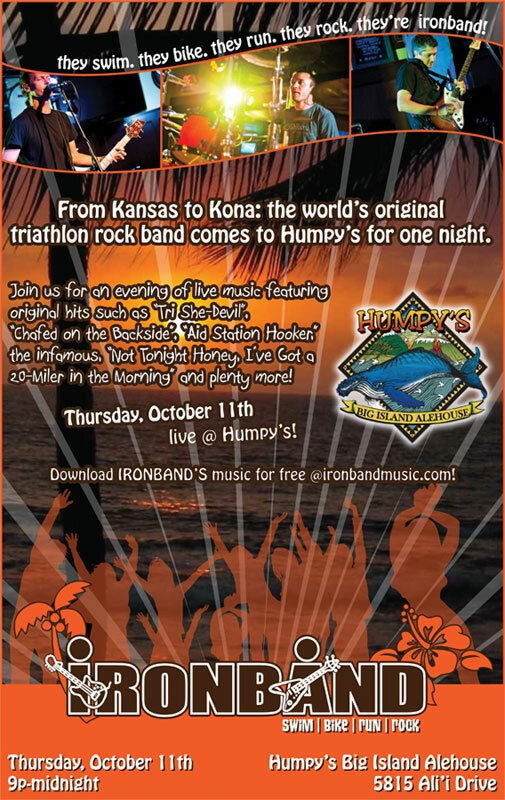 Don’t miss a fun evening at Humpy’s – triathlon rock on the beach! The itinerary below is fluid and changing daily so stay tuned to Facebook and Twitter for the latest updates and if you’re in Kona, let us know so we can find you! Rest up – big day tomorrow! 6:30am – midnight – Race Day! !